January 10 2012: Time Lapse Singapore Skyline at Night. View from Marina Sands Resort on January 10 2012. 4k00:064K Night Timelapse. View from Rooftop in Singapore. 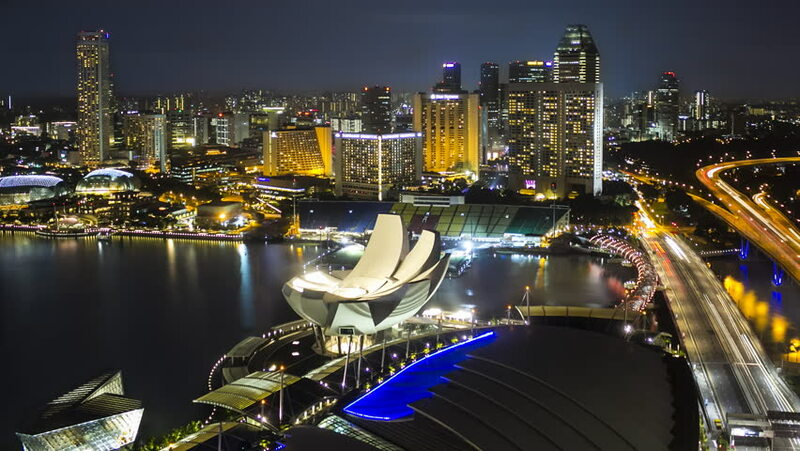 4k00:14Marina Bay, Singapore - December 31, 2018: 4k establishing shot of Marina Bay, Singapore from aerial view. Marina Bay is a famous tourist attraction that host many Singapore landmark. 4k00:16Marina Bay, Singapore - December 31, 2018: 4k establishing b-roll shot of night scene at Marina Bay Singapore during new year eve.